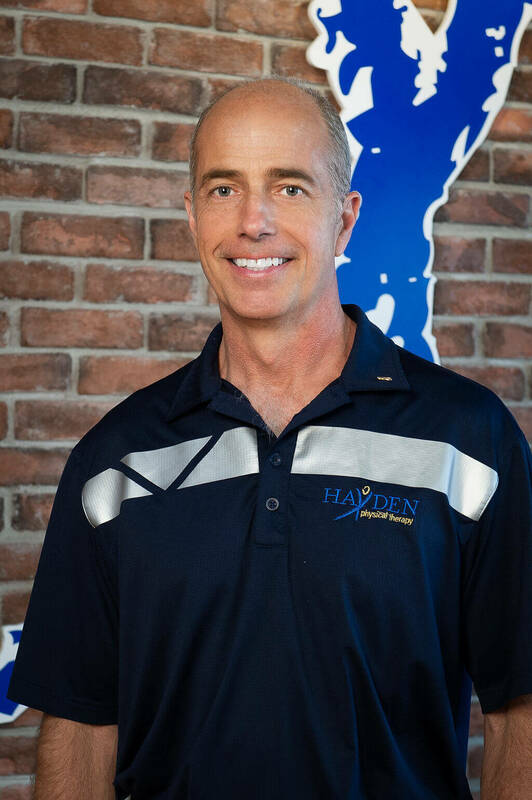 My vision when I opened Hayden Physical Therapy was to treat all patients that walked through our front door like family. I continue to be committed to creating an environment that is unique and unlike other therapy practices in our area. Being a small, locally owned business allows our staff the added time and flexibility to create personalized treatments for patients. My wife, Melissa, and I moved to the Greenwood area when I opened my first clinic in 1997. Since then, I have owned multiple clinics around the Indianapolis area before opening our Center Grove facility. On occasion, you will find our very spirited daughters, Alexandra and Elizabeth, helping in the office. I am pleased to have assisted State Representative, David Frizzell, on matters involving legislation for patients to access physical therapy services directly. While not at the office, I enjoy spending quality time with family and friends. I especially love IU basketball, an occasional golf game, and following the NASCAR circuit. I’ve enjoyed collecting an eclectic array of sports memorabilia from across the country that outfits the clinic. Most importantly and for almost 20 years, our family has worshipped at Mount Pleasant Christian Church. My faith is my daily strength and the foundation on which this business is grounded. I am forever grateful for the opportunity to serve others through a profession I so enjoy.